A Harvard bioengineer and an MIT aeronautical engineer have created a new device that can detect single cancer cells in a blood sample, potentially allowing doctors to quickly determine whether cancer has spread from its original site. The microfluidic device, described in the March 17, 2011 online edition of the journal Small, is about the size of a dime, and might also detect viruses such as HIV. It could eventually be developed into low-cost tests for doctors to use in developing countries where expensive diagnostic equipment is hard to come by, said Dr. Mehmet Toner, professor of biomedical engineering at Harvard Medical School and a member of the Harvard-MIT Division of Health Sciences and Technology. Dr. Toner built an earlier version of the device four years ago. In that original version, blood taken from a patient flows past tens of thousands of tiny silicon posts coated with antibodies that stick to tumor cells. Any cancer cells that touch the posts become trapped. However, some cells might never encounter the posts at all. Dr. Toner thought if the posts were porous instead of solid, cells could flow right through them, making it more likely they would stick. To achieve that, he enlisted the help of Dr. Brian Wardle, an MIT associate professor of aeronautics and astronautics, and an expert in designing nano-engineered advanced composite materials to make stronger aircraft parts. Out of that collaboration came the new microfluidic device, studded with carbon nanotubes, that collects cancer cells eight times better than the original version. Circulating tumor cells (cancer cells that have broken free from the original tumor) are normally very hard to detect, because there are so few of them — usually only several cells per 1-milliliter sample of blood, which can contain tens of billions of normal blood cells. University of Kentucky plant pathologists recently discovered a metabolite that plays a critical role early on in the ability of plants, animals, humans and one-celled microorganisms to fend off a wide range of pathogens at the cellular level, which is known as systemic immunity. This mode of resistance has been known for more than 100 years, but the key events that stimulate that resistance have remained a mystery. The findings of the UK College of Agriculture researchers, led by Dr. Pradeep Kachroo and Dr. Aardra Kachroo, were published online in Nature Genetics on March 27, 2011. Researchers from the UK Department of Statistics and Washington State University also contributed to the article. "If you can generate systemic immunity, you can have great benefits in disease resistance," Dr. Kachroo said. "It is particularly gratifying to be able to describe a mechanism for a type of immunity; pioneering studies were incidentally carried out by our own emeritus faculty, Joe Kuc." Using soybeans and Arabidopsis, a model laboratory plant, the scientists were able to identify the metabolite glycerol-3-phosphate as a key mobile regulator of systemic immunity. A metabolite is a substance produced in the body through normal metabolic processes. The glycerol-3-phosphate is transformed into an unknown compound and uses a protein, called DIR1 to signal systemic immunity. Scientists already identified the protein as a necessary component to trigger systemic immunity. "The metabolite and protein are dependent on each other to transport immunity from one location in the plant tissue to the other," Dr. Kachroo said. "Metabolite levels increase in plant tissues after the plant has been inoculated by a pathogen." While the research was conducted on plants, Dr.
University of Utah scientists and colleagues have used invisible infrared light to make rat heart cells contract and toadfish inner-ear cells send signals to the brain. The discovery someday might improve cochlear implants for deafness and lead to devices to restore vision, maintain balance and treat movement disorders like Parkinson's. "We're going to talk to the brain with optical infrared pulses instead of electrical pulses," which now are used in cochlear implants to provide deaf people with limited hearing, said Dr. Richard Rabbitt, a professor of bioengineering and senior author of the heart-cell and inner-ear-cell studies published in the March 15, 2011 issue of The Journal of Physiology. The studies also raise the possibility of developing cardiac pacemakers that use optical signals rather than electrical signals to stimulate heart cells. But Rabbitt says that because electronic pacemakers work well, "I don't see a market for an optical pacemaker at the present time." The scientific significance of the studies is the discovery that optical signals – short pulses of an invisible wavelength of infrared laser light delivered via a thin, glass optical fiber – can activate heart cells and inner-ear cells related to balance and hearing. In addition, the research showed infrared activates the heart cells, called cardiomyocytes, by triggering the movement of calcium ions in and out of mitochondria, the organelles or components within cells that convert sugar into usable energy. The same process appears to occur when infrared light stimulates inner-ear cells. 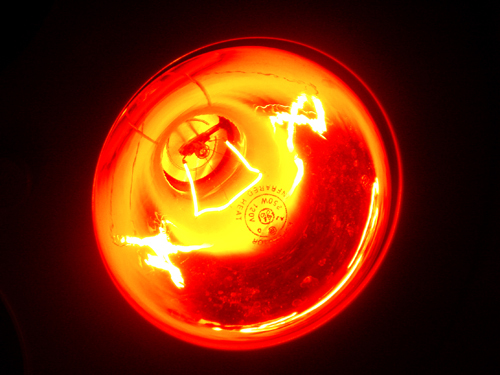 Infrared light can be felt as heat, raising the possibility the heart and ear cells were activated by heat rather than the infrared radiation itself. Alpha viruses, such as Sindbis virus, carry their genetic information on a single strand of RNA. On infection they use a protein, replicase, to produce double-stranded RNA (dsRNA) which is used as genetic material to make more viruses. However, the body recognizes dsRNA as foreign, and infected cells initiate an immune response. New research published on March 28, 2011, in BioMed Central's open-access journal BMC Cancer demonstrates that an artificial plasmid coding for the replicase genes of Sindbis virus causes regression and destruction of lung cancer and melanoma cells in mice. Previous attempts to use synthetic dsRNA to destroy tumor cells have met with problems, including side effects at an effective dose, but there are also concerns about using attenuated viruses, to deliver dsRNA inside cells. Researchers from the University of Texas at Austin and collaborating institutions have instead used a plasmid containing Sindbis replicase genes (nsp1-4) to force cells to produce dsRNA themselves. For ten days, mice were given daily injections of plasmid into the site of a tumor. After another 15 days most of the tumors had begun to regress, and by day 37 all of the tumors had either regressed or been destroyed. Professor Zhengrong Cui, senior author of the study, said, "The anti-cancer action of the plasmid seemed to be two-fold. Firstly, accumulation of dsRNA resulted in cell death and secondly the presence of dsRNA, and the foreign, unmethylated, plasmid DNA, inside a cell activated both innate and adaptive immune responses." Professor Cui continued, "In our study both highly immunogenic and poorly immunogenic tumors were receptive to treatment with an RNA replicase-based plasmid. Researchers today (March 27, 2011) claimed one of the milestones in the drive for sustainable energy — development of the first practical artificial leaf. Speaking at the 241st National Meeting of the American Chemical Society, they described an advanced solar cell the size of a playing card that mimics the process of photosynthesis that green plants use to convert sunlight and water into energy. "A practical artificial leaf has been one of the Holy Grails of science for decades," said Dr. Daniel Nocera, who led the research team. "We believe we have done it. The artificial leaf shows particular promise as an inexpensive source of electricity for homes of the poor in developing countries. Our goal is to make each home its own power station," he said. "One can envision villages in India and Africa not long from now purchasing an affordable basic power system based on this technology." The device bears no resemblance to Mother Nature's counterparts on oaks, maples, and other green plants, which scientists have used as the model for their efforts to develop this new genre of solar cells. About the shape of a playing card but thinner, the device is fashioned from silicon, electronics and catalysts. Placed in a single gallon of water in bright sunlight, the device could produce enough electricity to supply a house in a developing country with electricity for a day, Dr. Nocera said. It does so by splitting water into its two components, hydrogen and oxygen. The hydrogen and oxygen gases would be stored in a fuel cell, which uses those two materials to produce electricity, located either on top of the house or beside it. Dr. Nocera, who is with the Massachusetts Institute of Technology, points out that the "artificial leaf" is not a new concept. The first artificial leaf was developed more than a decade ago by Dr. John Turner of the U.S.
Over the last years, two teams of researchers at The Scripps Research Institute have steadily built a model of how a powerful DNA repair complex works. Now, their latest discovery provides revolutionary insights into the way the molecular motor inside the complex functions – findings they say may have implications for treatment of disorders ranging from cancer to cystic fibrosis. In a paper published online on March 27, 2011, in Nature Structural & Molecular Biology, the scientists say that the complex's motor molecule, known as Rad50, is a surprisingly flexible protein that can change shape and even rotate depending on the task at hand. The finding solves the long-standing mystery of how a single protein complex known as MRN (Mre11-Rad50-Nbs1) can repair DNA in a number of different, and tricky, ways that seem impossible for "standard issue" proteins to do, said team leaders Scripps Research Professor John Tainer and Scripps Research Professor Paul Russell, who also collaborated with members of the Lawrence Berkeley National Laboratory on the study. The scientists said the finding also provides a critical insight into the ABC-ATPase superfamily of molecular motors, of which Rad50 is a member. "Rad50 and its brethren proteins in this superfamily are biology's general motors," said Dr. Tainer, "and if we know how they work, we might be able to control biological outcomes when we need to." For example, knowing that Rad50 changes its contour to perform a function suggests it might be possible to therapeutically target unique elements in that specific conformation. "There could be a new generation of drugs that are designed not against an active site, like most drugs now (an approach that can cause side effects), but against the shape the protein needs to be in to work," Dr. Tainer said. Dr.
A new scientific study positions walnuts in the No. 1 slot in a family of foods that lays claim to being among Mother Nature's most nearly perfect packaged foods: Tree and ground nuts. In a report presented on March 27, 2011, at the 241st National Meeting & Exposition of the American Chemical Society, scientists presented an analysis showing that walnuts have a combination of more healthful antioxidants and higher-quality antioxidants than any other nut. "Walnuts rank above peanuts, almonds, pecans, pistachios and other nuts," said Dr. Joe Vinson, who did the analysis. "A handful of walnuts contains almost twice as much antioxidants as an equivalent amount of any other commonly consumed nut. But unfortunately, people don't eat a lot of them. This study suggests that consumers should eat more walnuts as part of a healthy diet." Vinson noted that nuts in general have an unusual combination of nutritional benefits — in addition to those antioxidants — wrapped into a convenient and inexpensive package. Nuts, for instance, contain plenty of high-quality protein that can substitute for meat; vitamins and minerals; dietary fiber; and are dairy- and gluten-free. Years of research by scientists around the world link regular consumption of small amounts of nuts or peanut butter with decreased risk of heart disease, certain kinds of cancer, gallstones, Type 2 diabetes, and other health problems. Despite all the previous research, scientists until now had not compared both the amount and quality of antioxidants found in different nuts, Dr. Vinson said. He filled that knowledge gap by analyzing antioxidants in nine different types of nuts: walnuts, almonds, peanuts, pistachios, hazelnuts, Brazil nuts, cashews, macadamias, and pecans. Walnuts had the highest levels of antioxidants. Dr. Researchers have described how the most common gene mutation found in acute myeloid leukemia starts the process of cancer development and how it can cooperate with a well-defined group of other mutations to cause full-blown leukemia. The researchers suggest that three critical steps are required to transform normal blood cells into leukemic ones, each subverting a different cellular process. By charting the route towards cancer, the study identifies processes that might serve as targets for new treatments to halt the cancer's development in its tracks and even reverse it. Acute myeloid leukemia is a rare but devastating disease, which can take hold in a matter of just days or weeks. Every year, 2,000 adults in the UK are diagnosed with acute myeloid leukaemia: only about three in ten adults survive for five years. In recent years researchers have identified a number of genes involved in the development of acute myeloid leukemia. The most common is NPM1, a gene with many known functions. The new research shows that mutation in NPM1 is a key event in the development of a large proportion of cases of acute myeloid leukemia and that it exerts its effect by helping cells to self-renew, a process that can be thought of as the first step towards leukemia. The team also identified two subsequent events that are required to cooperate with NPM1 to drive cells to become cancerous. The new work was published online on March 27, 2011, in Nature Genetics. "We have used targeted gene disruption to look at the way acute myeloid leukemia develops in mice," says Dr George Vassiliou, Consultant Haematologist, cancer researcher and first author on the study from the Wellcome Trust Sanger Institute, "and have found critical steps that take place when the cancer develops. The immune system recognizes and neutralizes or destroys toxins and foreign pathogens that have gained access to the body. Autoimmune diseases result when the system attacks the body's own tissues instead. One of the most common examples is multiple sclerosis (MS). MS is a serious condition in which nerve-cell projections, or axons, in the brain and the spinal cord are destroyed as a result of misdirected inflammatory reactions. It is often characterized by an unpredictable course, with periods of remission being interrupted by episodes of relapse. A team of researchers led by LMU Munich Professor Martin Kerschensteiner of the Medical Center of the University of Munich and Professor Thomas Misgeld from the Technical University of Munich has now been able to explain how the damage is inflicted. The results reveal that the inflammatory reaction can induce a previously unknown type of axonal degeneration, which they call "focal axonal degeneration" (FAD). In an animal model of MS, this process is reversible if it is recognized and treated early, so the researchers believe that it could serve as a potential target for therapeutic intervention. "Development of an effective treatment will be a long-term project," cautioned Dr. Kerschensteiner. "As yet, we only have a superficial understanding of the underlying molecular mechanisms and, of course, finding effective therapies will require time-consuming screens and extensive trials of drug candidates." The new work was published online on March 27, 2011, in Nature Medicine. Multiple sclerosis is a common and, in many cases seriously disabling, autoimmune disease that can lead to the disturbance or loss of sensory function, voluntary movement, vision and bladder control. 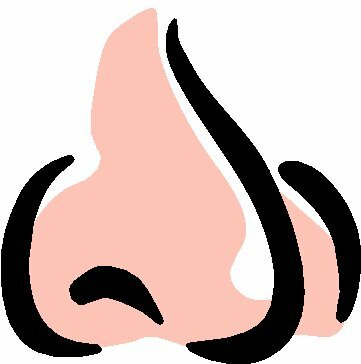 Researchers seeking to unravel the most ancient yet least understood of the five senses – smell – have discovered a previously unknown step in how odors are detected and processed by the brain. The four-year study, focusing on how mice respond to odors, showed that smells are picked up by the olfactory bulb – the first stop on the way to the brain – then sent to the olfactory cortex for further analysis. But scientists discovered something else – a dialogue between the bulb and the cortex conducted by rapidly firing nerve cells. "It was originally thought that the olfactory bulb filtered and the olfactory cortex made decisions on whether something is, for example, edible," said lead researcher Dr. Diego Restrepo, professor of Cell and Developmental Biology and co-director of the University of Colorado School of Medicine Center for NeuroScience. "Our study says it's not quite like that. You process information on reward in the olfactory bulb, send it to the cortex and there is a dialogue between the two. Then the brain will act." The study was featured on the cover of the March 24, 2011 issue of Neuron. Dr. Restrepo, an expert on the science of taste and smell, said the discovery expands our understanding of how the olfactory system filters and categorizes the thousands of odors that bombard the brain daily. "We know very little about olfaction and we tend to think that it is not very important in humans compared to the other creatures," he said. "But much of what goes on is subtle and we are only beginning to understand it." For example, scientists recently found that when men sniffed the odorless tears of women, their levels of testosterone dropped. And for years it's been known that humans, like animals, secrete pheromones that may subconsciously help them choose a mate.